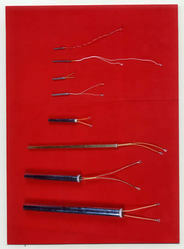 Leading Manufacturer of cartridge heaters for chemical industry from Thane. We are offering wide range of Cartridge Heaters for Chemical Industry. We offer these heaters in high, medium and low density with inner outer connected leads. Looking for “Chemical Industry Cartridge Heaters”?